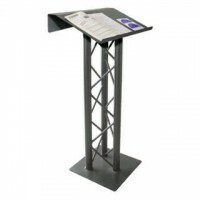 The quad metal truss style podium is ideal for a wide range of uses, such as at conferences, schools or at trade shows. 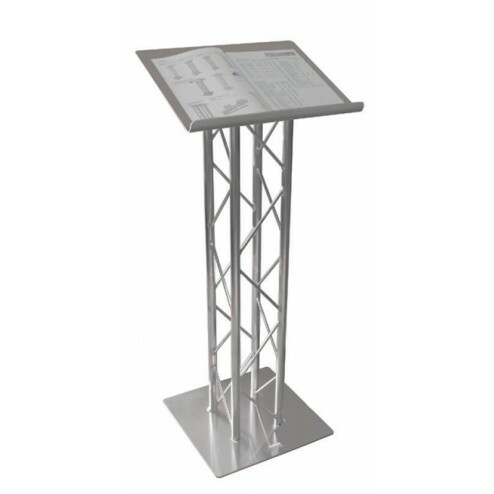 The quad truss lectern's angled literature holder makes it easy for the presenter to read material from notes or a script. 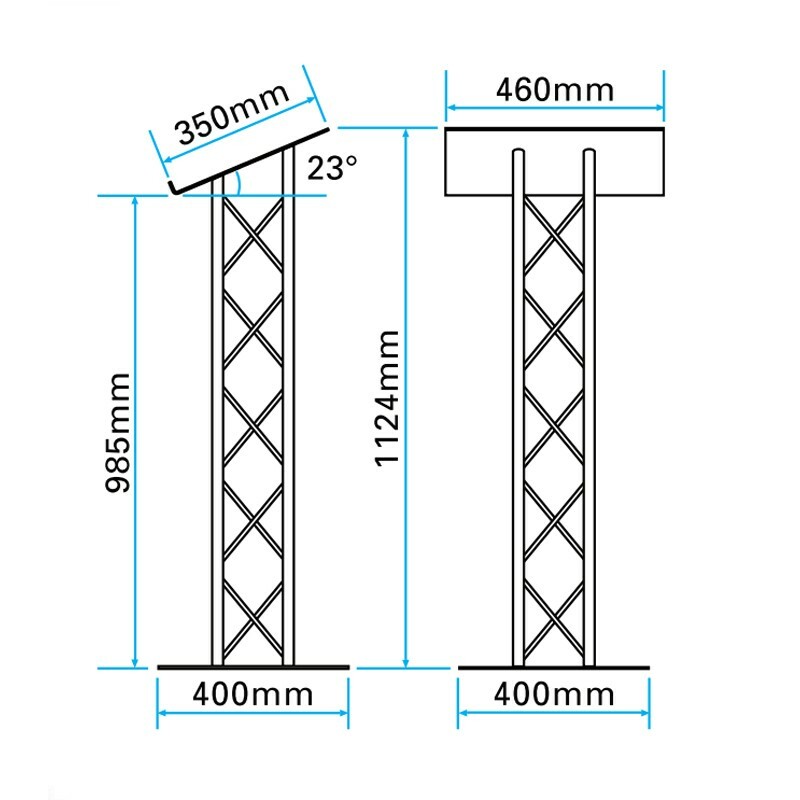 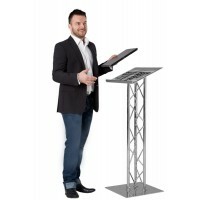 Not only is this metal truss pulpit incredibly functional but at only 11kg in weight it is also extremely mobile, making it easy to ferry between trade shows or conferences. 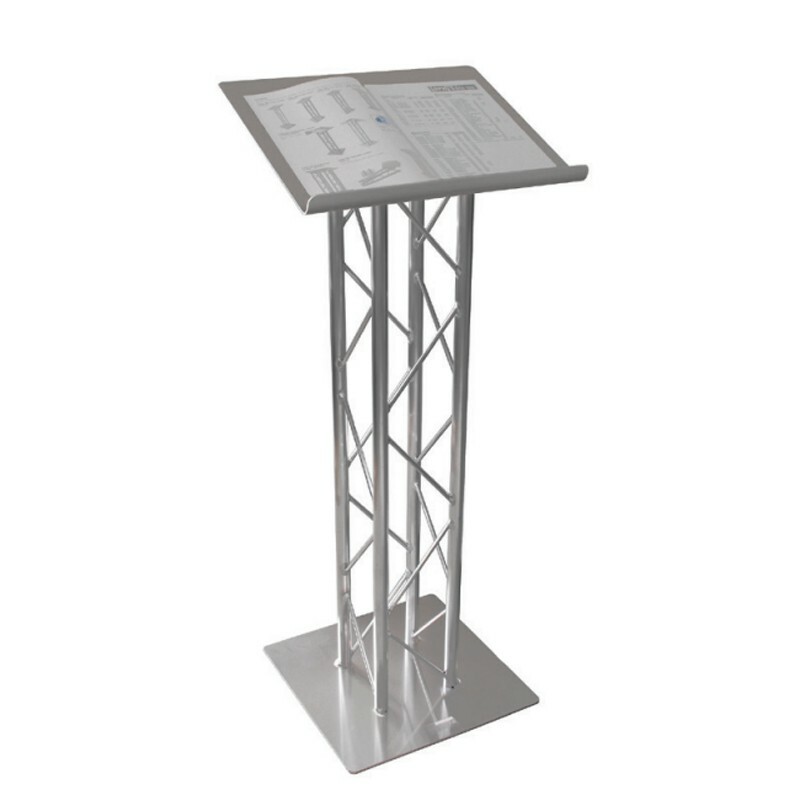 With a design resembling that of our popular compact metal truss lectern, this robust stand boasts a more substantial 4 post frame, if you're looking for something a bit more impactive at your next event. 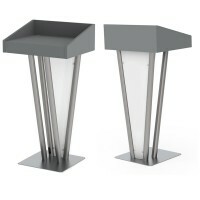 This sturdy and stylish lectern comes with a natural aluminium finish as standard but can be powder coated in black, silver or white, giving you the chance to add that little something extra to this already impressive podium. 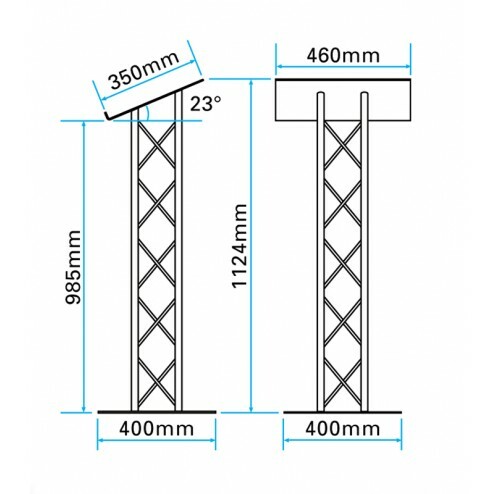 We can apply this finish in just 3 days extra delivery time, meaning you'll have your chosen colour ready and raring to go in just 10 days. 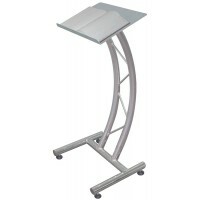 So don't miss out on this sleek and practical piece, and bring extra functionality to your next trade show or public speaking engagement.